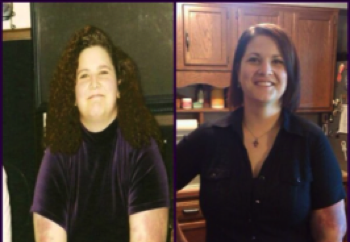 I decided to get in shape in 2006 when I realized I was at risk for developing diabetes and heart disease. At first, I tried to change my lifestyle dramatically by giving up my favorite foods and trying to hit the gym at the same time. It proved to be too much, too soon. I thought, “You know what, I’m not going to go on a diet because if I’m restricted I won’t do well. I’m going to still eat what I want I’m just going to cut my portions”. I started right before the holidays. We’d prepare tamales in my family, and that year, I had two. Not two dozen like I used to in the past. One thing that’s really helped me especially at restaurants, is asking for a to-go box as soon as I place my order and pack up half of my meal before I begin eating. If I want dessert, I split it with my dining companion or eat just a couple of bites to satisfy my sweet tooth. Even my two Chihuahuas are on portion control and have maintained a healthy weight. I also gave up my daily soda habit, rewarding myself by drinking one per week. After a few weeks, I didn’t miss the sodas. I now focus on drinking water instead. 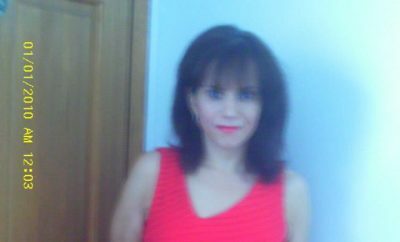 Once I dropped some weight, I had more energy and added exercise into my routine, including strength-training classes and running. I’ve completed two half-marathons and recently added tennis to my routine. In the past, I couldn’t keep up, but now I have much more energy and can keep up now so I don’t get discouraged about working out or staying active. I have since fulfilled a childhood dream and joined a talent agency. I’ve appeared in several local commercials as well as a music video. Losing the weight opened up a lot of opportunities for me but most importantly, it’s allowed me to share my story with others, helping them realize while it may not be easy, it’s certainly not impossible to live a healthier life while eating foods you enjoy. 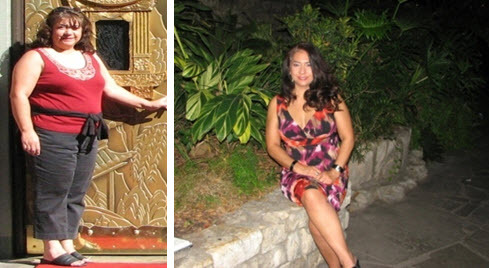 ← Previous Story Weight Loss Success Story: I Lost 67 Pounds And My Body Is A Disappearing Act!